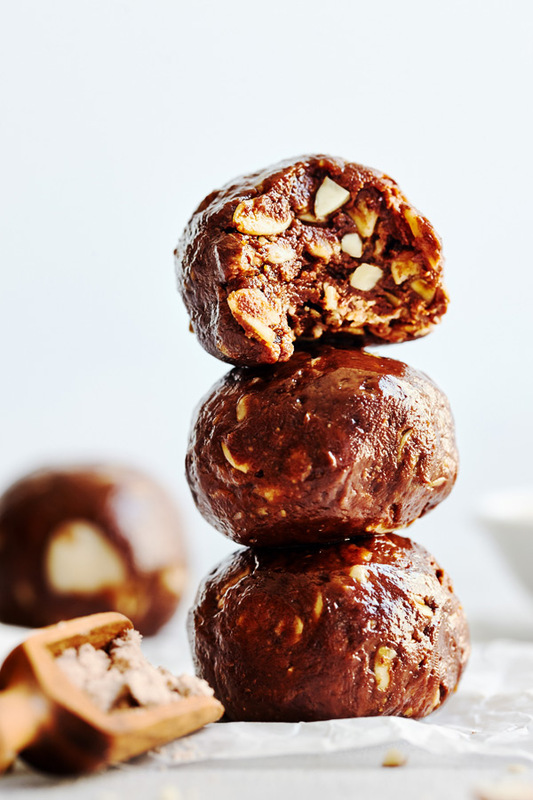 Instead of downing another cup of coffee (and whatever amount of milk and sugar you add to it), eat one of these all-natural espresso-flavored treats to boost your energy with protein and complex carbohydrates. If you haven’t tried meal prepping some healthy snacks, you should consider doing so for a few very good reasons. Making sure you have a good-for-you snack at the ready will help you avoid reaching for the less healthy options that are usually found in a vending machine, cafeteria, or convenience store. 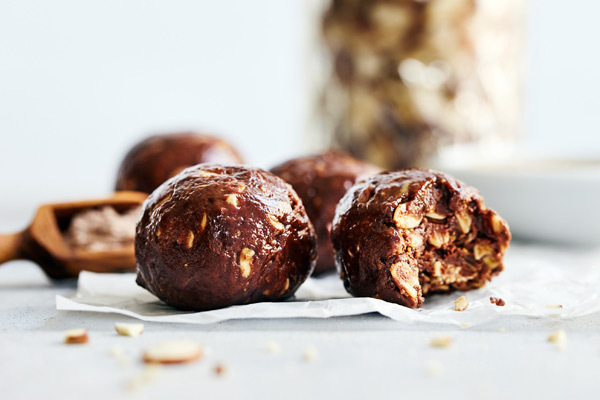 These bite-sized beauties are free from refined sugars and preservatives and have less than half the sugar of the average nut-based snack bar. 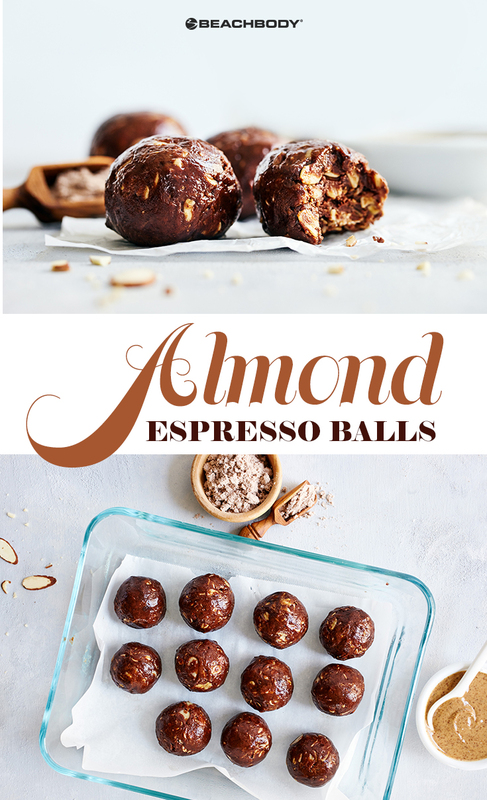 Whip up this recipe for Almond Espresso Engery Balls. 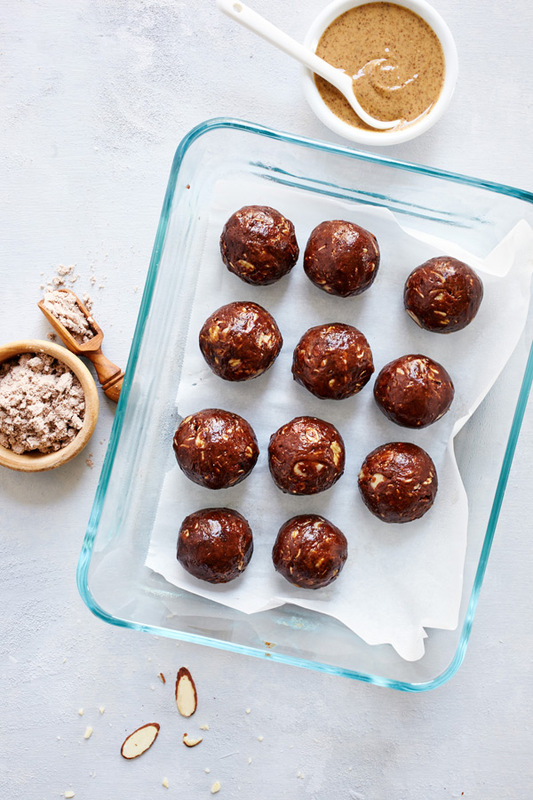 They are a satisfying mid-day snack that works right into your healthy meal plan. Combine almond butter, honey, oats, Shakeology, and almonds in a medium bowl; mix well with clean hands or a rubber spatula. 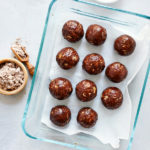 Shape mixture into twenty four walnut size balls; place in airtight container.